With Sage, the world is at your command. 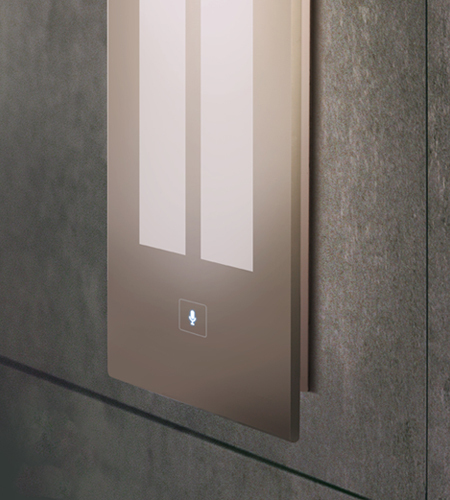 Sage™ is the first-ever mirror technology with embedded voice-control capabilities designed specifically for the hotel industry. Sage stands at the ready to help, and responds to your every word. Sage lets you unleash a host of features and functions by simply talking. Want to dim the lights? Sage is on it. Yearning for some soft jazz in the background? Sage will have it playing in no time. Need to confirm the time, check the weather, and get the latest headlines? Sage will tell you. Whatever you need or want, Sage is here to help. Sage helps your hotel provide you with an extraordinary experience. With Sage, you’ll feel pampered like never before. Sage greets you with personalized messages. 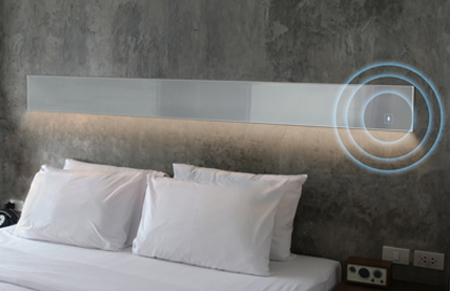 Sage pairs with your phone to play your favorite music through the mirror’s built-in speakers. Sage closes the blinds, dims the lights, and adjusts the temperature at your command. Sage tells you the day’s headlines, and gives you the weather forecast and traffic report. Sage confirms your check-out time. Sage answers just about any questions you can ask. Sage joins our Inspired Technology collection of products. Our SmartMirror™ Technology that turns any mirror into the world’s smartest mirror. Our SmartTalk™ Technology that puts the world at your command. Our SmartView™ Technology that displays an LED TV in any mirror. Experience the ultimate in service with Sage.